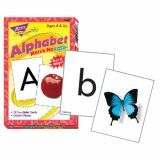 Award-winning Match Me® Cards engage learners' matching, memory, and word/picture recognition skills. Learners practice alphabet skills as they match uppercase and lowercase letters to photograph clues. 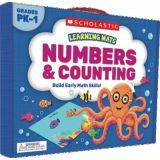 Set includes six fun and easy-to-follow activities. 52 cards, 3” x 4”. Ages 4 & up. 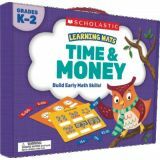 Award-winning Match Me® Games engage learners' matching, memory, and word/picture recognition skills with fun, interactive play. 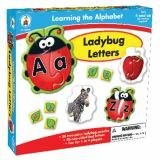 1 to 8 players practice alphabet skills as they match uppercase and lowercase letters and photographs of real-life objects. Game plays three ways in an easy-to-follow format. Two-sided game boards for multiple skill level play. Find a matching pair and take one. Can you remember where are the little fish hiding?! 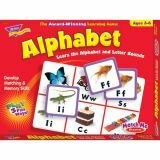 Improves memory, color recognition and fine motor skills! 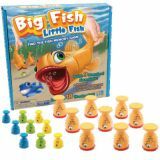 Includes nine wooden big fish, nine wooden little fish, and rules. 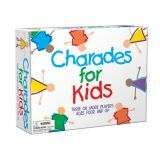 Players may be acting out “Feeding a baby” or simply “Smiling.” If you get another player to guess the charade correctly, you both move ahead on the game board. Also features 150 picture charades so that even non-readers can get in on the fun. 3-6 players. 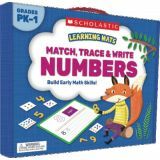 Award-winning Match Me® Games engage learners' matching, memory, and word/picture recognition skills with fun, interactive play. 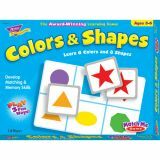 1 to 8 players use one side of the board to learn six colors and eight shapes, the other to identify shapes of real-life objects. Game plays three ways in an easy-to-follow format. Two-sided game boards for multiple skill level play. 52 cards, 3” x 4”. Roll the jumbo wooden dice and then go hunting for colored acorns that match what you rolled. Now it's time to Feed Fuzzy! His stretchy cheeks sure can hold a lot of acorns! 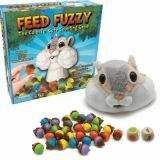 Be first to feed fuzzy all of your acorns and win! Features Fuzzy…. an adorable plush chipmunk which doubles as a carrying case for the game, 30 wooden acorns, two jumbo wooden dice and rules. Learn colors and counting in the cutest way ever! 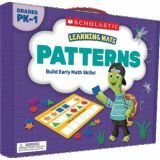 Colorful mats, picture cards, manipulative tiles and markers make learning an adventure! 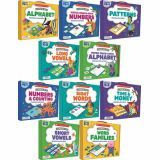 Each set comes with 10 two-sided 10" x 7-1⁄2" mats, dry-erase marker, and activity guide with extension activities. Ages 4+.